Is a pest problem making you feel uncomfortable in your own home or business? D&T Pest and Termite Control Inc. can provide you with the pest control in Mendon, MA you need to get rid of insects and rodents. 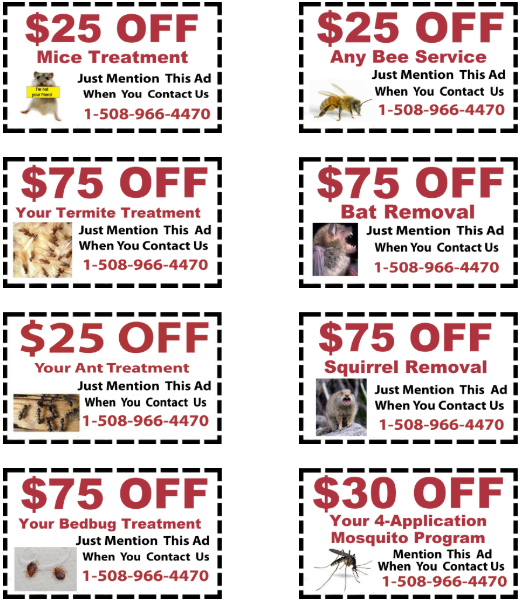 For more than 20 years, the fully licensed and insured D&T Pest and Termite Control Inc. has been helping home and business owners with mice treatment and bat removal in Mendon as well as termite control, ant control, bee removal, mosquito treatment, tick treatment, and more. When you get in touch with the family owned and operated D&T Pest and Termite Control Inc. for pest control in Mendon, a pest control specialist will come out to your home or business and assess the problem. Armed with the right training, experience, and expertise in the pest control industry, the specialist can come up with a plan of action and eliminate any insects or rodents from your property. Whether you need termite control in Mendon, ant control, mosquito treatment, bat removal, squirrel removal, or another service, D&T Pest and Termite Control Inc. will get to the bottom of your pest problem and solve it quickly. D&T Pest and Termite Control Inc. understands how frustrating dealing with pests can be. It can make it tough for you to relax in your home or business and result in extensive damage if you’re not careful. With pest control in Mendon, MA from D&T Pest and Termite Control Inc., you’ll be able to get your life back to normal again. D&T Pest and Termite Control Inc. will perform mice treatment, bedbug treatment, bee removal, or tick treatment in Mendon so you don’t have to worry about pests invading your space anymore. Call D&T Pest and Termite Control Inc. at 508-966-4470 to schedule pest control in Mendon, MA.